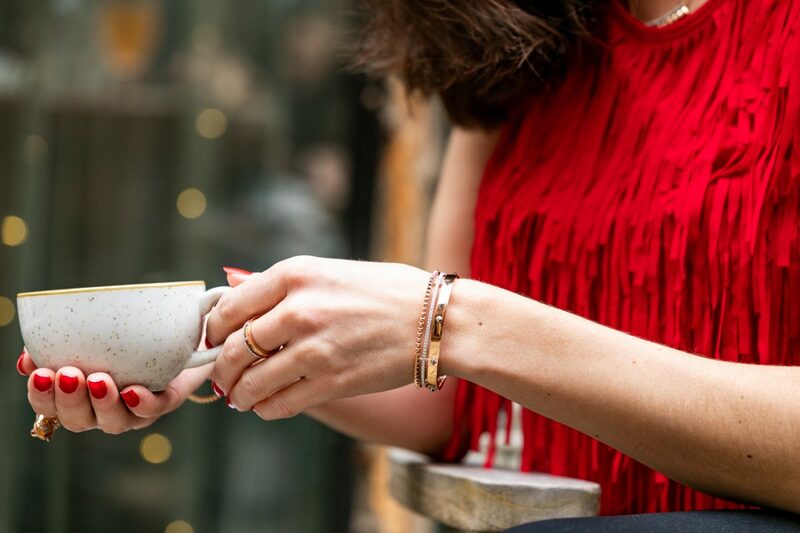 With a new year brings a fresh start and I am a firm believer that this concept also applies to your jewelry collection! 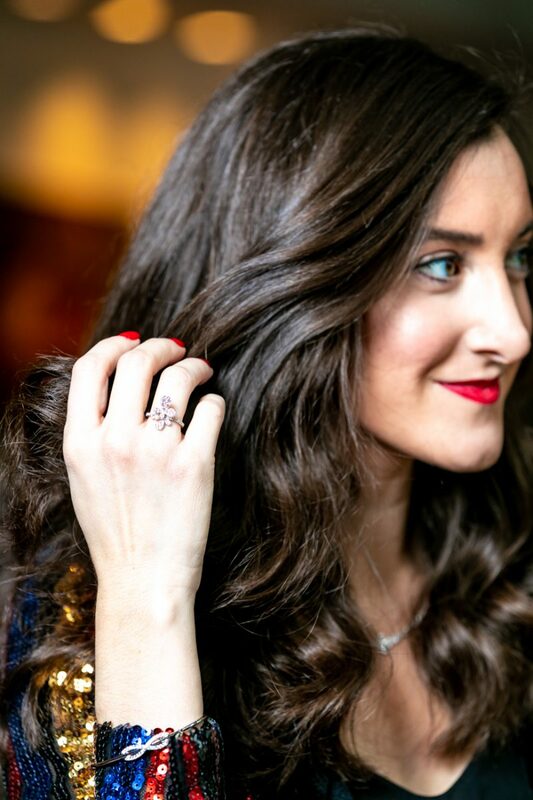 As you know, I’ve been sharing pieces from Cincinnati favorite Stafford Jewelers because they have a gorgeous selection and something for everyone in your life. 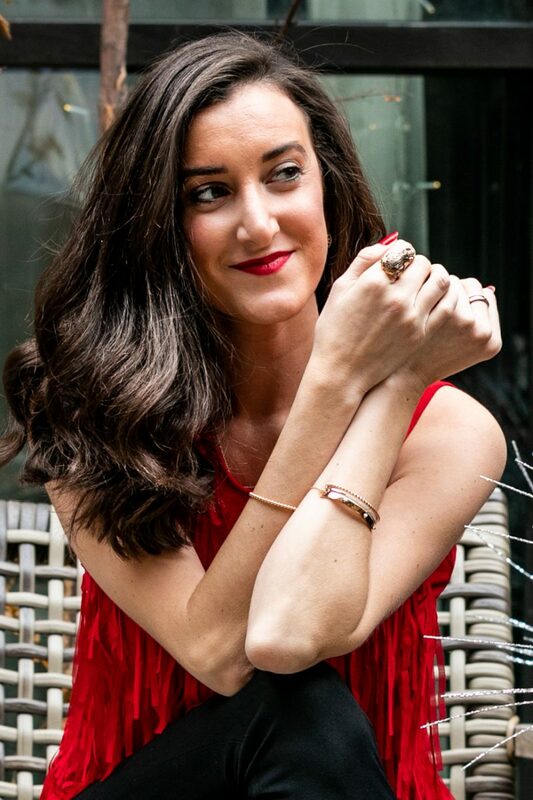 Check out my previous looks wearing their jewelry here! 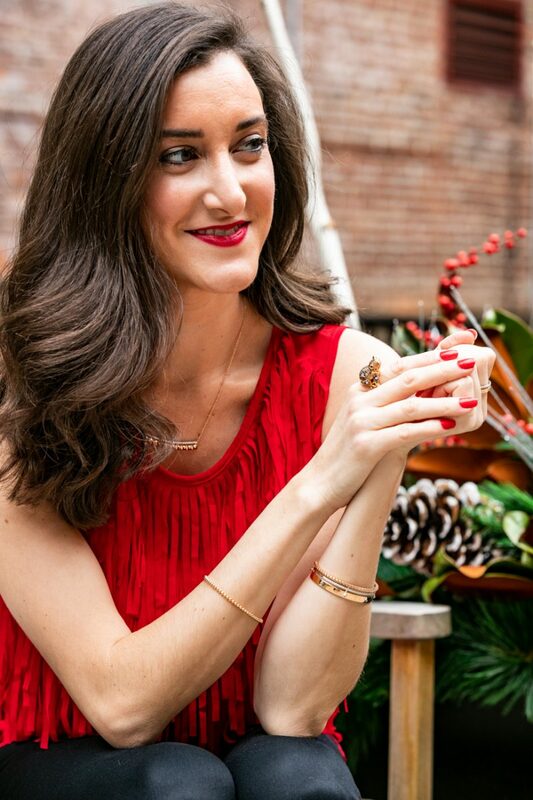 We shot these images at Hotel Covington which is always the perfect backdrop, especially when jewelry is involved! 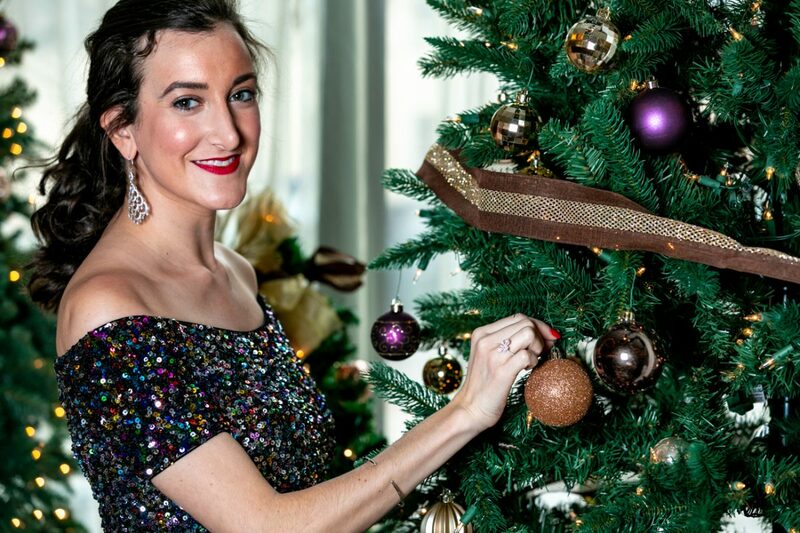 I have a wide array of festive pieces in my closet, so dressing myself for this shoot was pretty easy! I absolutely adore this sequin dress. The sequins are clustered and you can see sparkle at every corner. Also, there are tons of colors in the dress, which is obviously good in my book! Furthermore, the jewelry pops perfectly against the dress, and each piece makes a statement on its own or together. The ring selection Stafford carries is seriously impressive. I fell head over heels for the rings I wore for this shoot. 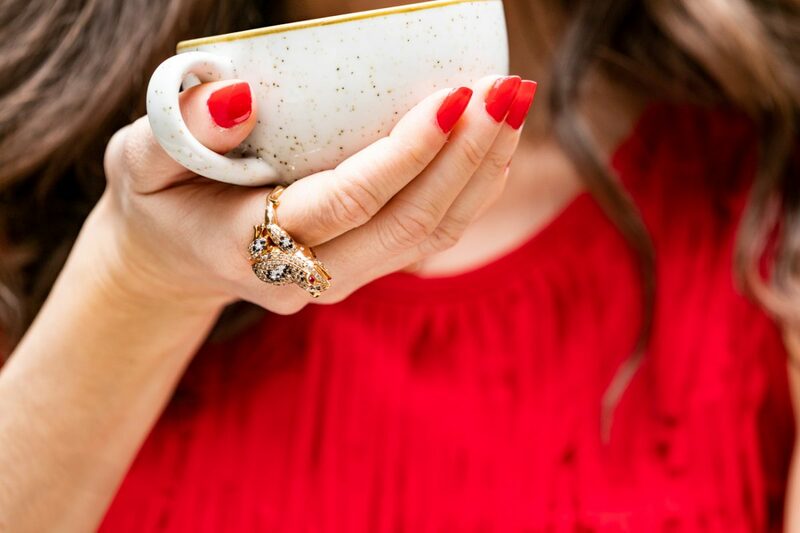 In addition, I love the idea of wearing multiple statement rings at once for a look that pops. 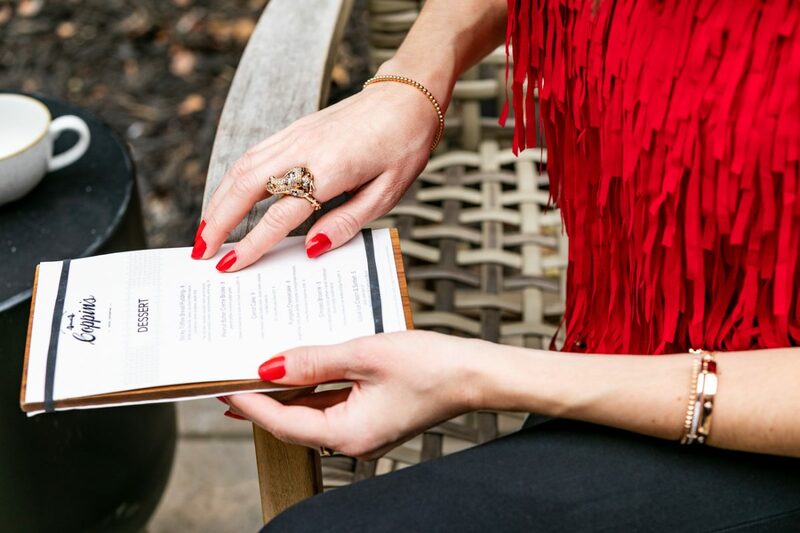 This red fringe top is one of the more fun pieces in my closet. Because it’s a solid color it really allows the jewelry from Stafford to pop! 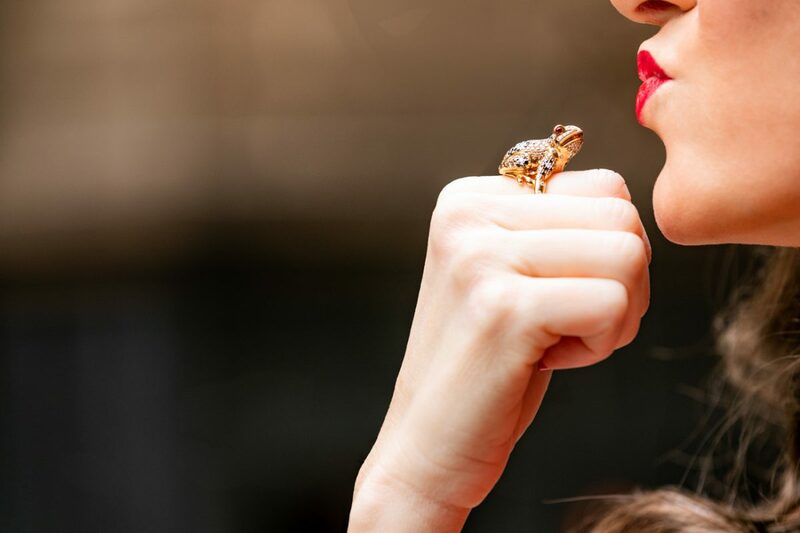 This frog ring was one of my favorite pieces from our shoot! This little guy is rose gold and comprised of brown, black, and white diamonds and rubies for eyes! We had so much fun shooting with him. Also, The ring was incredibly comfortable to wear and not nearly as heavy as it may look. I love when jewelry makes a statement but is also comfortable. Furthermore, unique pieces like this always catch my eye and are guaranteed to make your look stand out from the crowd.